The next chapter in the Dead or Alive (DOA) series. I never played the DOA games before on the Xbox. I'm not a fighting game fanboy, but I have played Virtua Fighter, Street Fighter, Mortal Kombat, etc. I enjoy the games, but I'm not one to spend the time mastering all the moves and combos. I mainly picked up this game as I needed some good party games and such to have around when company is over. 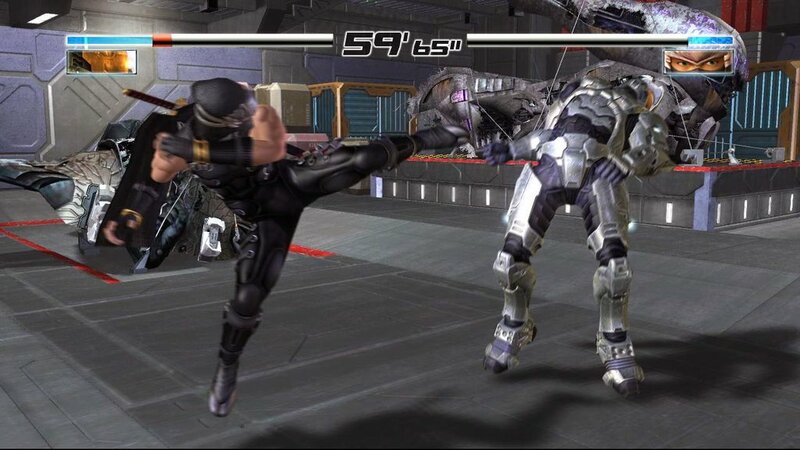 DOA is designed and produced by Team Ninja. The same group famous for the Ninja Gaiden series of games. DOA has a very Japanese flair to it. The game is spoken in that language, but subtitled in English. What sets this game apart for other fighters is how it is heavy on the female fighters, who are all shall we say very well endowed. The first DOA games were well known for their "jiggle" technology. HD on the 360 makes that tech all the better. I suggest playing the game with friends. Make sure they are all at your skill level. Playing against people who have mastered the blocks and reverse moves will frustrate. The game also has online modes. The original release had some lag issues online, but that since has been patched.